Re: PRC-320 Military Manpack Radio, First Impressions. I just had an amazing QSO with Spain on 20m from the North of France using my 320 and the 2.5m whip, inside the house! The guy on the other end was using 1kW! He was hearing me just fine. It goes to show, again and again, that power isn't the main factor in making contact. With the built-in tuner in-line there was no doubt quite a few Watts below the 30W maximum output being radiated. The more I use the PRC-320 the more it amazes me. Interesting thoughts, and I agree as well. 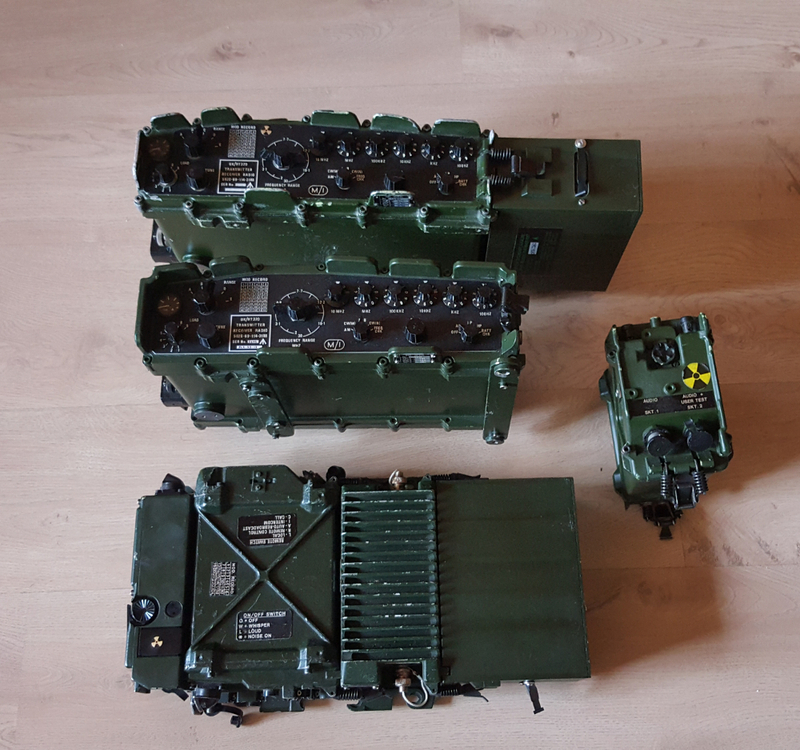 For me, military radios are more on the hobby side than for prepping, but their ruggedness makes them a great choice for those situations when transporting them alone on foot isn't required. They are fairly cheap and will survive almost anything. Now, I would rather also have three or four (I have many more) $50-$100 radios than one or two $800 radios... It is also easier to scavenge parts for through-hole radios than surface-mount circuits. If one of my military radios craps out, no big deal, I have more... Sure, I'm not going to carry them all in a bug-out scenario, but they can be very handy. I am reading a book by F. Spencer Chapman, "The Jungle is Neutral" (highly recommended), where enormous radio sets are carried by men on their back in the Malayan jungle and powered by pedal-driven dymanos... A PRC-320 compared to that is a pocket radio! These guys had virtually no support from the outside... So, all is relative... A group of determined men can accomplish miracles. Sure, we have better options today, and that even is debatable, but my PRC-320 with a hand-crank attachment can be a lifesaver. Very interesting thanks. I didn't know about the man other than from his book.